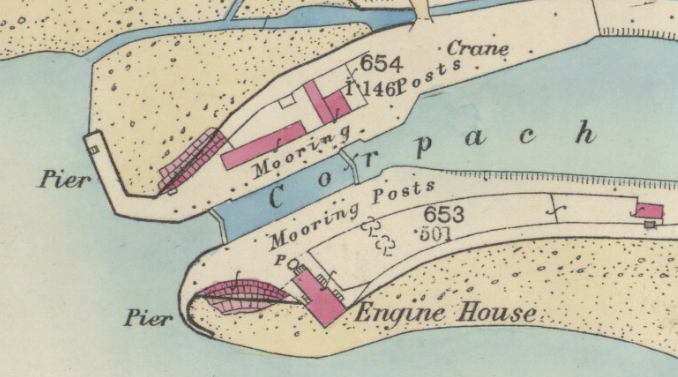 There is evidence in primary sources (including the census, valuation roll and early OS maps) for 73 of the 88 mills which I have identified, and from secondary sources and personal recollections for 15 more. The mills can be divided into 6 groups, on the basis of geography and the date they were established. 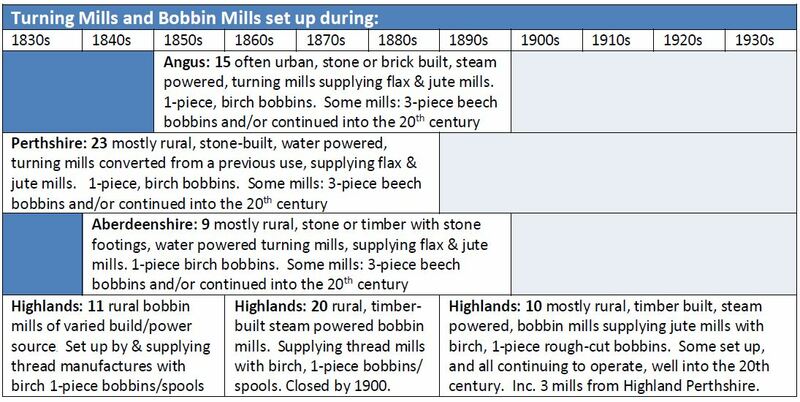 The following table shows the timeline for these different groups of mills, and lists the typical characteristics of the mills in each group. 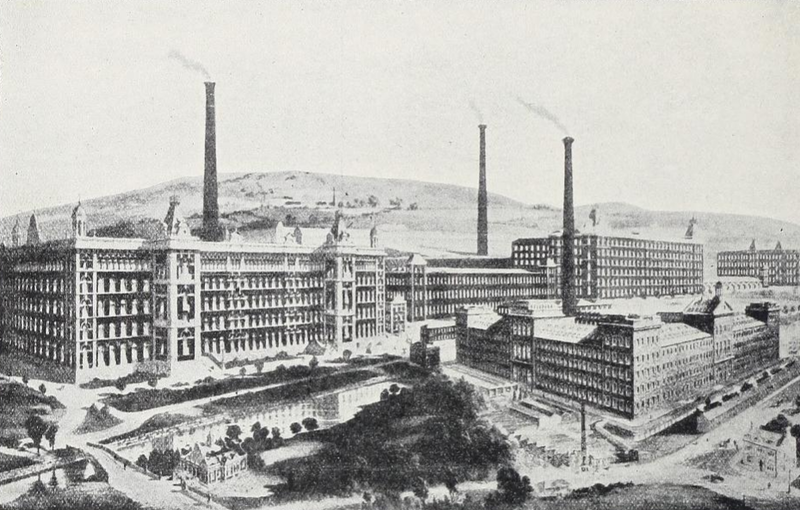 The bobbin mills in the north of Scotland supplied major textile industries, with the 50 mills in Perthshire and the north east principally supplying the flax and jute mills of Dundee. Some of the mills may have also supplied cotton spinning and weaving mills in Scotland and England or woollen mills in the Borders, though this remains uncertain. Some of the bobbin mills were located in urban settings, including in Perth, Dundee, Aberdeen and Inverness. These were often called Turning Works and were usually stone or brick buildings and powered by steam. The largest was McGregor and Balfour Ltd, in Dundee. However, most of the mills were in rural locations, in wooded areas, which provided their raw materials – principally birch wood, but in some areas other hardwoods, including beech. Easter Balgersho Turning Mill is known to have operated as a bobbin mill between 1851 and 1873. 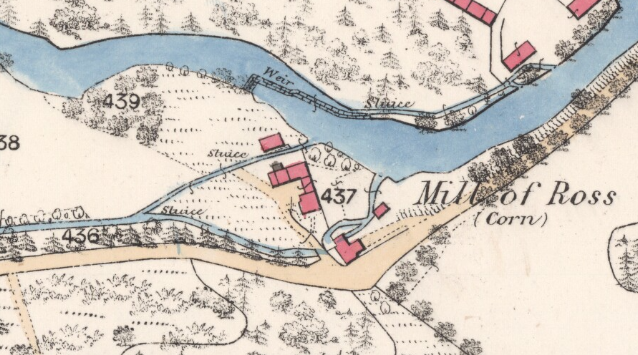 In 1861 James Brown was living at Easter Balgersho as a ‘turner master employing 13 men and 2 boys’, but in 1873 a fire broke out at the mill (a not uncommon occurrence in bobbin mills), which may have resulted in the mill closing down, since there is no further evidence about it after 1873. 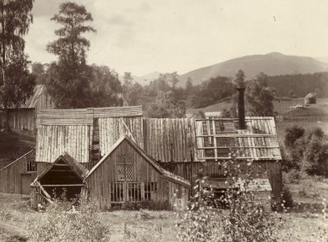 The Mill of Ross, near Comrie, was originally a corn mill, but was operated as a bobbin mill between 1864 and 1910. The Glamis Turning Premises was originally a waulkmill, but was operated as a bobbin mill between 1861 and 1895.
continued in operation for many decades. 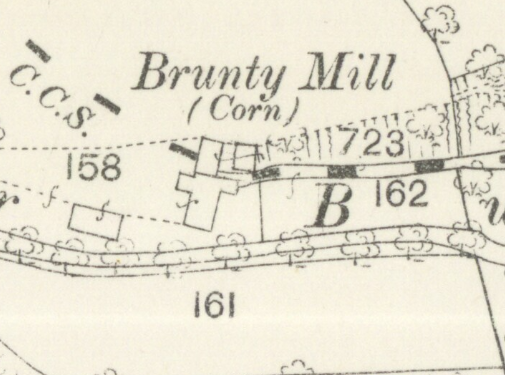 Brunty Mill, originally a corn mill, was operated by members of the Carr family for 74 years (1861 to 1935). 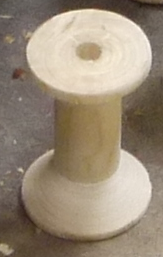 2nd edition OS map as a Bobbin Turning Mill. industry, in both Dundee and India. stone-built building and the mill, which was water-powered, operated between approximately 1830 and 1840, when all the local birch woodland had been exhausted. Messrs Clark of Paisley also used a store room in the Corpach Engine House as a bobbin mill in the 1840s and 50s. 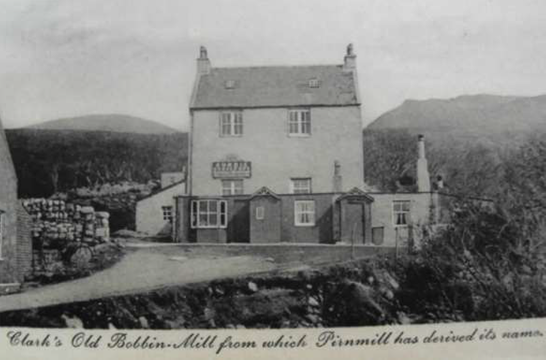 This mill was powered by steam, overlooked by Ben Nevis, and the bobbins were transported by steamer. However, the other bobbin mills set up by the thread manufacturers were probably timber buildings and no evidence of them remains. 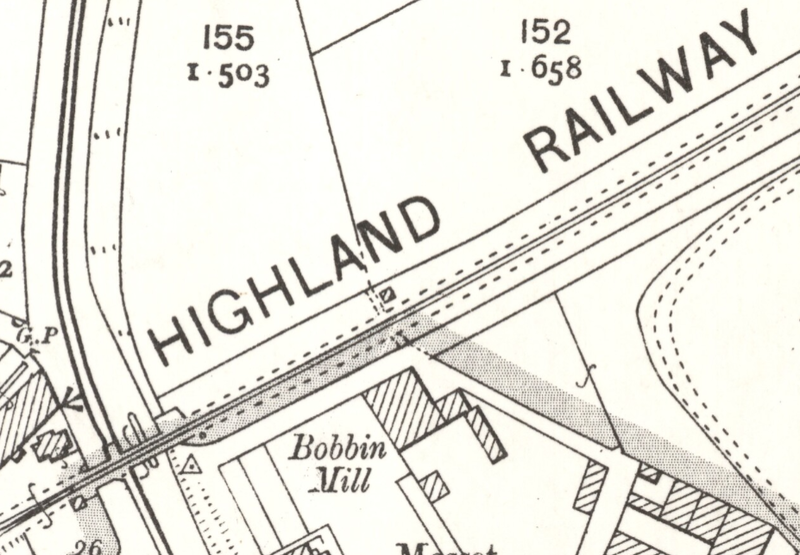 Indeed, there may have been many more bobbin mills in the Highlands, which have not been identified since they came and went within the space of a decade, leaving no trace at all. After the 1850s most of the bobbin mills in the Highlands were set up by independent entrepreneurs who were often men from outside the area. Indeed, many of the men and boys who worked in the mills also came from elsewhere, following the work from mill to mill, though the mills did also employ some local workers. 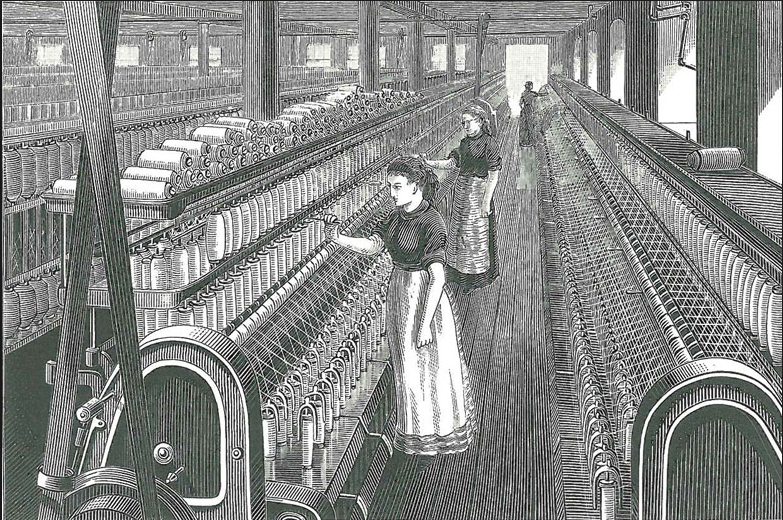 There is no evidence of any women being employed in the bobbin mills at all. From the 1860s most of the bobbin mills in the Highlands are known to have relied on steam, rather than water power, and evidence suggests that these were generally timber buildings, and may have only been intended to have a relatively short working life. Few photographs of timber bobbin mills exist, the best being photographs of the South Kinrara Bobbin Mill, taken in 1893, a couple of years after it closed down (images from Canmore above). The mill had been established some 30 years earlier, by William and Andrew Taylor, who set it up shortly after the railway line through Badenoch and Strathspey was opened, in 1863, providing a ready means of transporting the bobbins they produced. 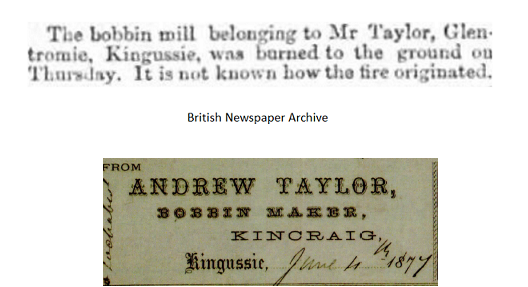 Born in Dunnottar, near Stonehaven, in 1830 and 1832 respectively, William and Andrew Taylor were nephews of Andrew Paterson, who ran the Glasslaw Den Turning Mill, near Stonehaven, from 1841 until his death in 1864; they were also sons of George Taylor who operated the Mills of Inchmarlo in Banchory during the 1840s. 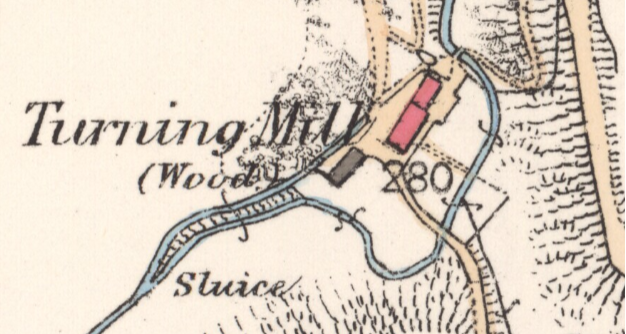 The Mills of Inchmarlo consisted of a saw mill and wood turning mill, which had previously been meal and barley mills. 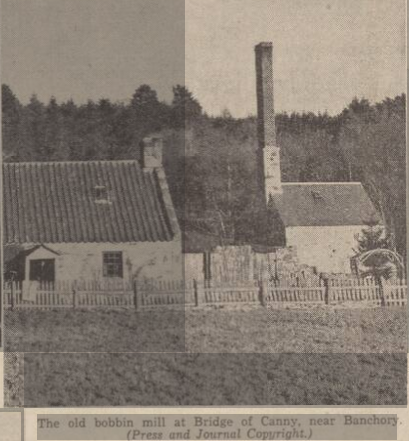 In 1851 William Taylor was a ‘wood turner’ and Andrew a ‘sawmill labourer’ in Banchory, and in 1861 Andrew was ‘wood turner’ at the Bridge of Canny Bobbin Mill, again in Banchory. By 1865, however, the two brothers had set up the South Kinrara Bobbin Mill 75 miles away, on the other side of the Cairngorms. Unfortunately, nothing is known about how this came about, or the relationship between the Taylor brothers and the landowner, Mackintosh of Mackintosh. In the 1881 census, William Taylor was listed as a ‘bobbin maker employing 13 men and 2 boys’. After the South Kinrara Bobbin Mill was closed, in 1891, William Taylor moved to Pitlochry and set up another bobbin mill there, which continued in operation until 1926. For a while he employed his cousin, Andrew Paterson (junior), as a ‘wood turner’. William Taylor may also have had a bobbin mill near Aviemore since, according to a memoire, at one time there was a bobbin mill “at the west of Croftmore belonging to Taylor of Pitlochry”. 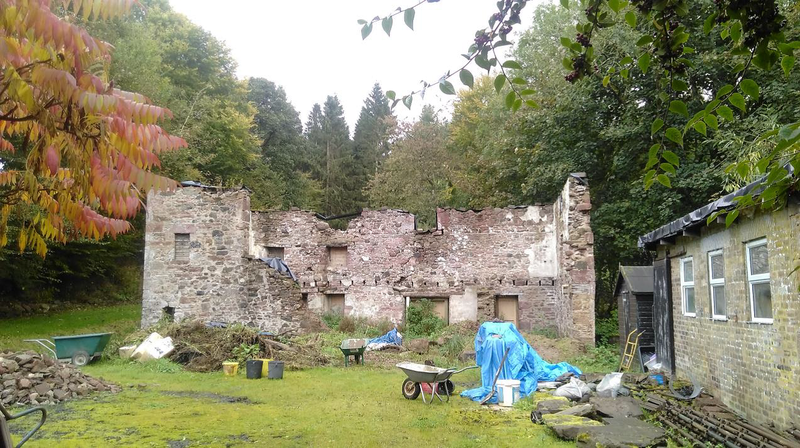 In addition to South Kinrara, Andrew Taylor also had a bobbin mill beside Carron Station, near Knockando, in Kincraig, up Glentromie, and possibly at two or three other locations. 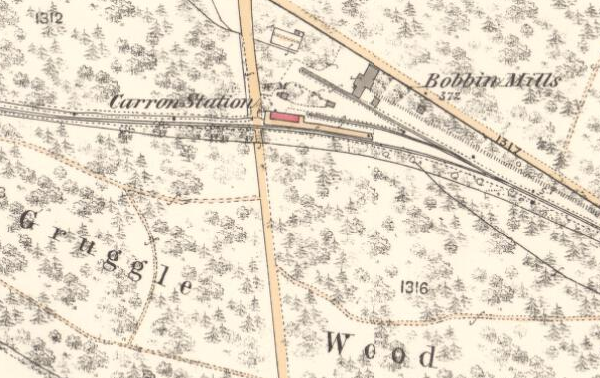 In the 1881 census he was listed as a ‘bobbin maker and wood merchant employing 23 men and 3 boys’ in Kincraig. 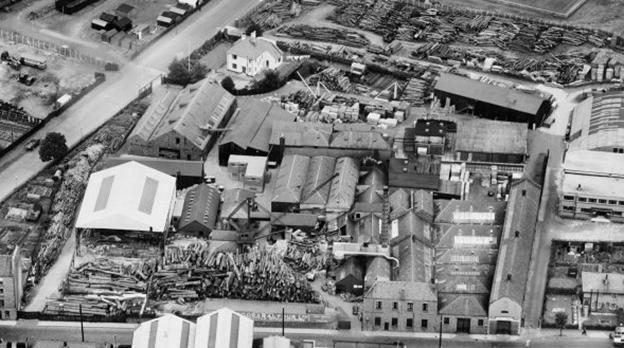 Finally, Andrew Taylor set up a bobbin mill in Forres, which was bought by Andrew Merchant, the mill manager, shortly before Andrew Taylor’s death in 1896 and continued in operation until 1949. By this time the demand for bobbins from the jute industry had collapsed due to India banning the import of bobbins. 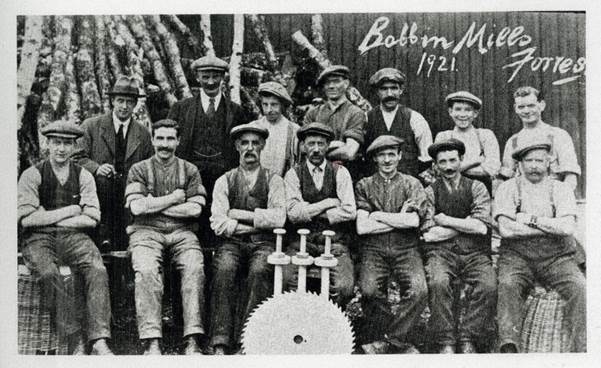 A photograph taken in 1921, shows 14 Forres bobbin mill workers, alongside a pile of birch poles, one of the mill’s circular saws and some examples of the bobbins they made. 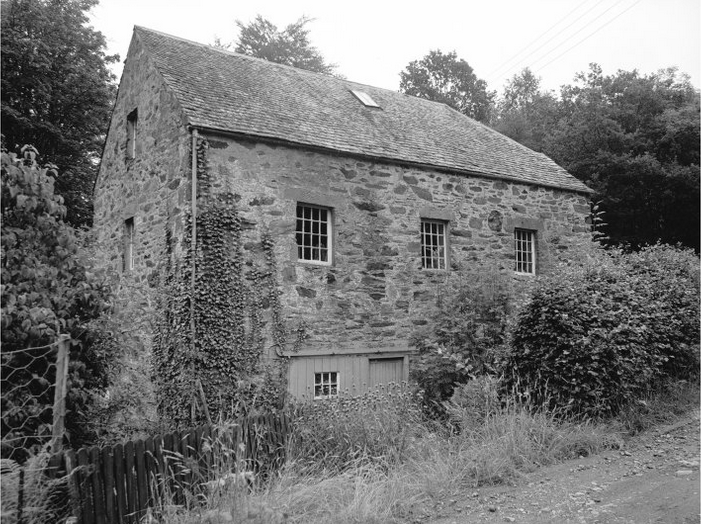 Andrew Merchant’s son, also Andrew Merchant, set up another bobbin mill near Drumnadrochit in Glenurquhart, in 1938, located in an old corn mill and powered by diesel. This mill only closed down in 1954, having diversified into the production of pit props, fence posts and chocs. This was the last of the rural bobbin mills to close down, though two mills in Dundee and Aberdeen remained in operation into the 1970s. 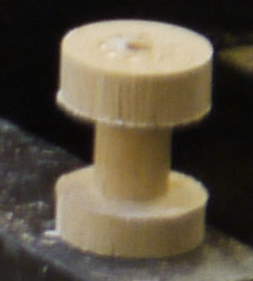 The bobbin mills in towns and cities probably made a range of different types of bobbins, including those made up from three pieces of beech wood. 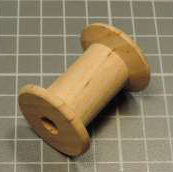 On the other hand, the rural bobbins mills may have only made simple bobbins, from a single piece of birch wood. 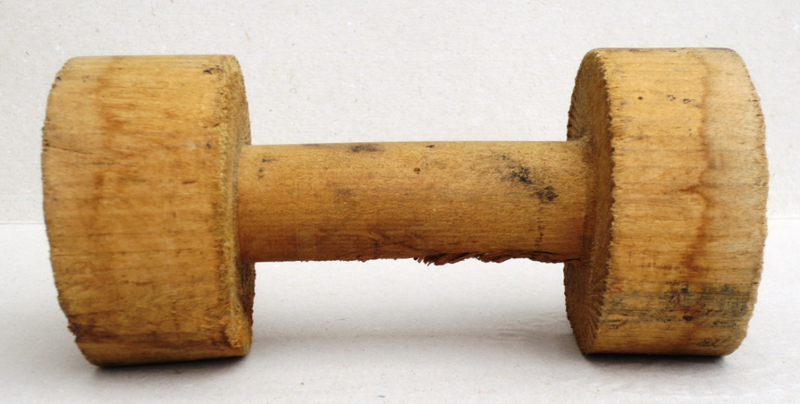 During the 19th century, the Highland bobbin mills probably made spools, to hold the finished thread, rather than making bobbins for use during the thread production process and these were made from a single piece of birch wood. 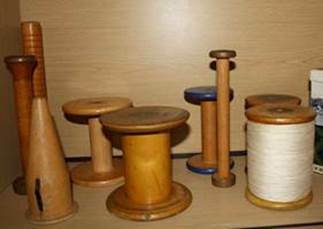 In addition, the bobbins made by rural mills for the jute industry were probably what were called “solid spinning bobbins”, also made from a single piece of birch wood. 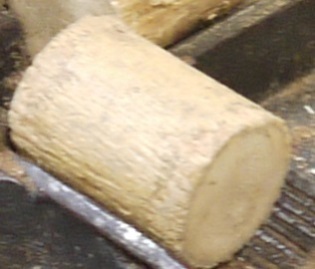 Making bobbins of this type involved: sawing wood into appropriately sized blocks, boring a hole down the middle of the block, using a lathe to create the rough shape of the bobbin, drying the rough bobbins in a drying kiln, producing the final shape using a finishing lathe and, finally, polishing the bobbin (see Images from the Stott Park Bobbin Mill above). During the 20th century, the bobbins made by rural bobbin mills for the jute industry were supplied to the town mills in the rough form, rather than as finished bobbins ready for use. Whether this was also the case for some, or all, of the bobbin mills during the 19th century is not known. While the bobbin making industry clearly had a big impact on the lives of some individuals, it is less clear how much of an impact it had on the communities where the mills were based. The number of men and boys employed by the mills seems to have varied from a small handful up to 30 or more workers. 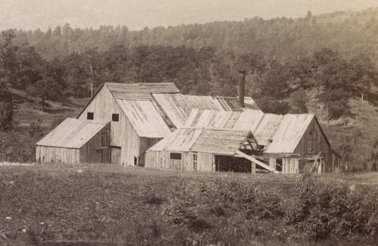 In some cases, the mills were mostly, or entirely, staffed by family members, in others there were considerable numbers of employees, including teenage apprentices. 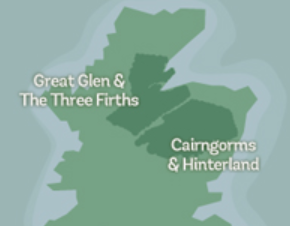 However, these workers were not always local to the area, and particularly in the Highland mills often came from the central belt or from Angus, Aberdeenshire or Perthshire. Many of the mills only operated for a relatively short period of time, and the men who worked in them travelled around, often being found in a number of different mills around the north of Scotland during their working life. The impact on the local communities is therefore unclear, and it may have been more in terms of providing jobs for wood cutters, sawyers and carters than in providing jobs for wood turners and bobbin makers as such. 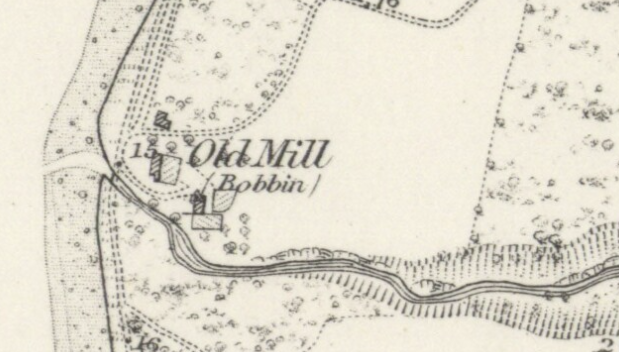 On the other hand, there seems little doubt that the bobbin mills in the north of Scotland must have had a considerable impact on the local birch woodland. 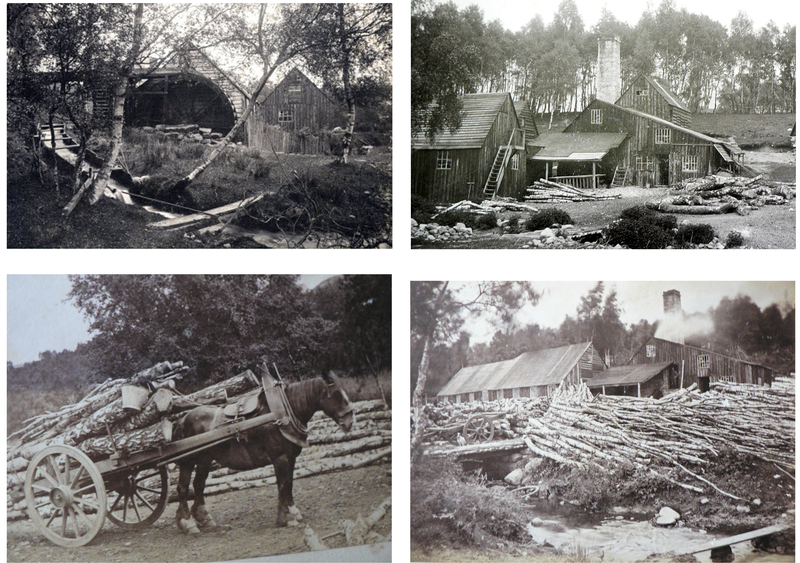 The quantity of birch wood used by each bobbin mill was clearly quite significant, perhaps in the region of 1,500 tons of birch wood each year, yet there is little evidence of birch woodland being actively managed for bobbin making or of the use of coppicing. Contemporaneous reports refer to the beauty of Glenurquhart being “materially impaired by the ruthless sacrifice of the greater part of its fine birch woods” (1850), to “scarcely a birch tree of any size left standing in Rothiemurchus” (1869) and to the consumption of birch wood for bobbin making being enormous and at one time threatening “the practical deforestation of Scotland” (1907). Yet in Deeside it was said that “not withstanding the doings of the [bobbin] mill, the banks and braes still show a considerable growth of natural birch” (1899). 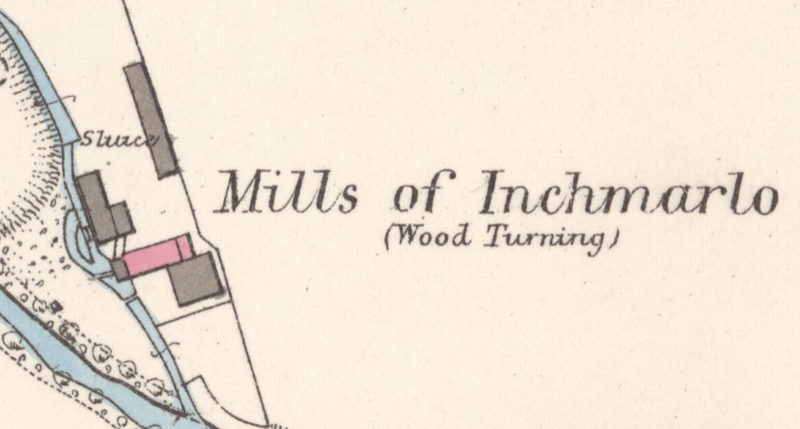 Hence, it is hard to know just how much of an impact the bobbin mills really had on local birch woodland and to what extent this impact was sometimes exaggerated. 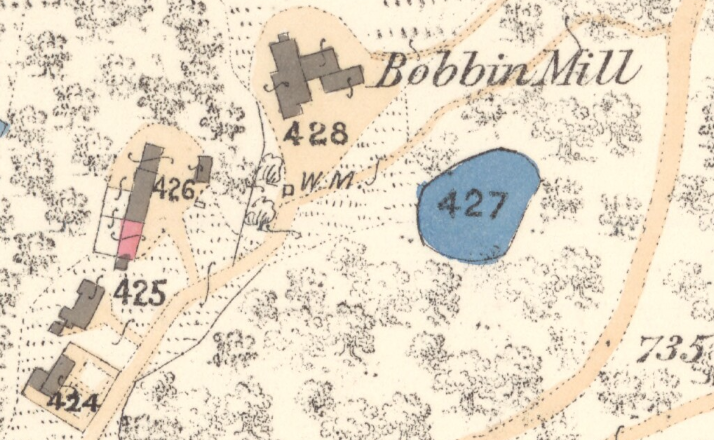 Perhaps the most appropriate conclusion is that the impact of bobbin mills on the birch woodland must have been considerable, at least in some places and in the short term. The bobbin mills in the north of Scotland made bobbins in their millions, were often substantial enterprises in their own right, providing employment for a considerable number of men and boys, consuming huge amounts of birch and other hardwoods, and having a noticeable impact on local woodland and landscapes, at least in the short term. 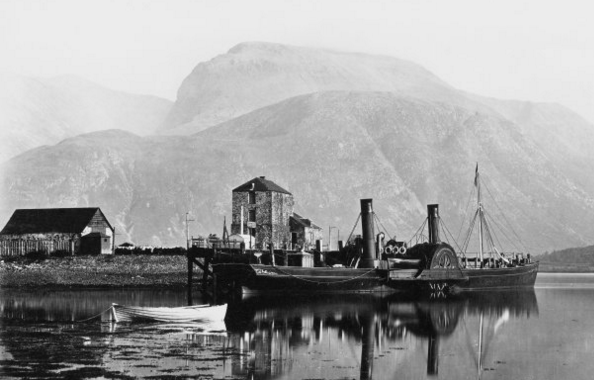 For 150 years, bobbin making was a significant industry in the north of Scotland. Yet nowadays there is often little or no trace of the bobbin mills which once operated, or the impact they had, and many people are unaware that this industry ever existed.